Creative ideas do not sprout in a restless society. However, people in the present Manipuri society are so tense for one reason or the other. As such, I am trying to ease them from all these tensions with my songs. That’s why most of my numbers are humorous in one hand and tries to spread a message on the other, says popular Manipuri singer Konthoujam Bobin. In a recent interview with Manipur Times, the singer expresses that he prefers fusion music than Hindustani and classical music. He loves to work on songs which are suitable to the culture of South East Asia and prefers innovative music directors. The very concept has made him popular in the field of music today. The 31-year-old singer started his career in singing in Manipuri during 2000-01. Bobin, also popularly known as Bin, was introduced to Manipuri music lovers by his song Rama gina Sita, Krishna gina Radha, Eigee Ranina Kanano? The song emerged as a huge hit beating other numbers in the album Rashi Leibi. Other popular songs in the album were Leirangi Leinamga Leirangi Leishakka Chunnadeda, a duet with R.K. Nandeshori. Album Rashi Leibi was a combined effort from different artistes comprising of 10 songs. “When I was a child I never thought of becoming a Manipuri singer. I dreamt of becoming a break-dancer or a vocalist of western music. 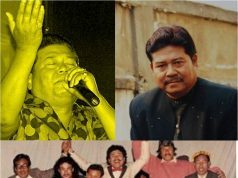 Before I started my career in Manipuri somgs, I was the vocalist in three western music bands of Manipur namely, Slave and Master, Fortune Hunters and Born Free.”, Bobin says. 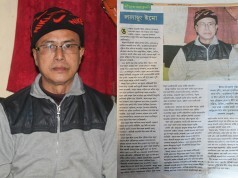 “After Leirangi Leinamga success I proceeded my career to Manipuri Matamgi Esei (Manipuri modern song). My first solo album Farage Nang rocked the Manipuri music listeners again.”, he adds. “My other solo albums are Yoo, Thikadar, Ningthou and Sendoi Chabi Bimola. 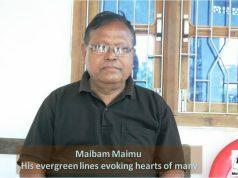 Till now I have recorded more than 180 songs including 30 songs for Manipur digital films as a playback singer.”, Bobin says. 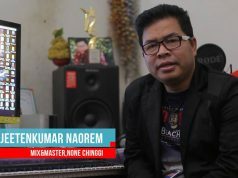 Bobin won the All India Best vocalist award in western music four times consecutively from 1999 to 2002 representing Manipur University team during his college life as a student of DM College of Arts. Bobin was awarded Emerging Singer of the Year Award in 2011 by the Ministry of Human Resource and Best Singer Award by Young Horizon. 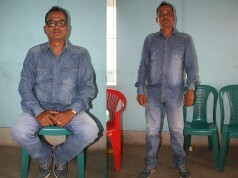 Bobin adds, music has brought a change to his life and gradually become his life. He wishes to dedicate his entire life to music. 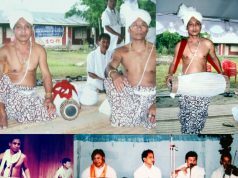 Bobin learnt Manipuri music from Oja Darendra of Keishampat and Prof. Ph. 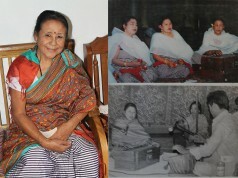 Iboyaima Sharma of Keishamthong Irom Pukhri Mapal. He loves to listen to the oldies of Nongmaithem Pahari and Samurailatpam Sanaton Sharma. He also likes the songs of Bob Marley and Mark Anthony. His favourite writers are G.C. Tongbra and George Bernard Shaw. In his journey as a singer he has experienced both good times as well as bad ones. He has been flooded with compliments and suggestions from his fans. At times the bad law and order situation disturbs the artistes’ while going and coming for giving performance. Bobin continues saying that some ignorant people do not respect the artistes of Manipur and are often discriminated or stereotyped as small time earners in the current situation of Manipur. In this regard, he states that singing is a noble profession and a singer nowadays earns up to Rs 70,000 per month with the appearance in four to five concerts a day. Bobin wishes to do good things during his lifetime so that the society will remember him after his demise. Bobin feels that everyone should refrain from doing things which may give bad effect to the society. He also says that loving our motherland and loving the human being are must. Born on 1st Feb. 1981 Bobin is the last child among seven brothers and sisters. He is the son of Late Konthoujam Tombingou and Konthoujam Ongbi Pramodini of Kwakeithel Akham Leikai. His consort Nganbi Chanu of Churachandpur Thongra Leirak is a research scholar in Manipuri Dance in Manipur University. Previous articleNational Science Day 2013.